Wow. These folks have the upscale diner thing down pat. Beautiful space, fabulous food, terrific wait staff. 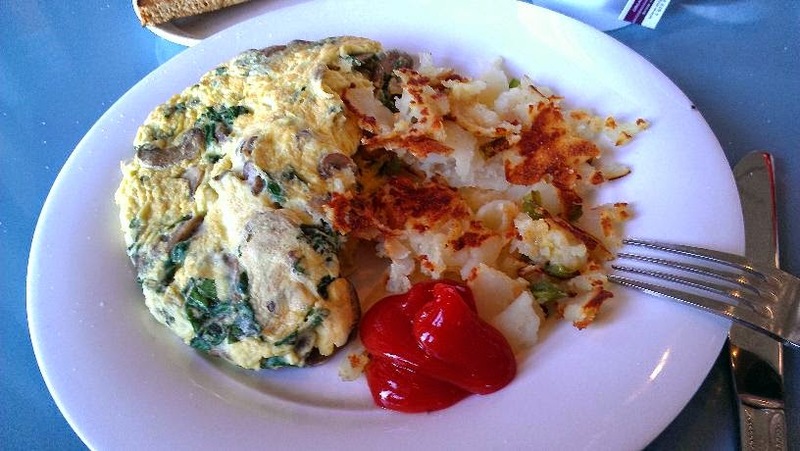 Two big Florentine omelettes with crispy fried taters, toast, coffee and tea for $18. Huh? Best of all, the toast was served with a variety of fresh butter, orange zest, and a dollop of raspberry cream . Yum. What About Frazier? And Foreman?